This tutorial guides you to install deepin 15.4 GNU/Linux OS. You will need to prepare at least 20GB for main partition and (optionally) 1GB for swap partition. It takes around 15 minutes to complete the installation. And what makes it different is: installing this deepin 15.4 is very amusing with beautiful screens and gorgeous introduction slideshow. 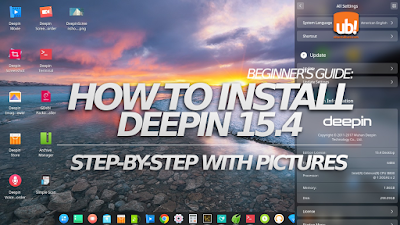 Try this and you will see that deepin installer is the easiest among all GNU/Linux desktop distros today. Be happy! Download deepin image: here the download links. It's only available as 64 bit in 2.6GB size. Prepare 2 partitions: you better prepare the partitions before performing installation. You will need a main partition at least 20GB and no less, and optionally a swap partition at least 1GB. You can partition your disk using the free and great software GParted. Prepare installation media: burn the ISO image of deepin into a USB drive that has 4GB capacity or more. Optionally, in more classic way you can burn that into a DVD. However, this tutorial uses USB drive as example. Example: I installed deepin 15.4 on my ASUS X44C laptop, using /dev/sda4 70GB as main partition and /dev/sda3 2.5GB as swap partition, and a 16GB USB drive as installation media. I installed the bootloader into /dev/sda as their parent disk. Important! Make backup for your important data (if any) before doing partitioning and have best concentration while installing to avoid losing any data. Plug the USB drive to your computer and make it boot into USB. You should see deepin screen whether it's Live CD or Installation Screen. This tutorial takes Live CD as example. First step: choose your language. 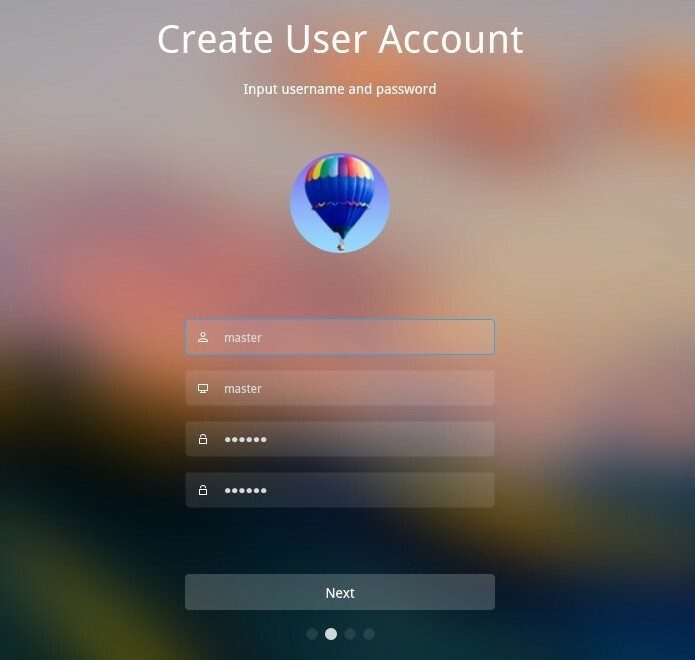 Second step: determine a username and its password, as the user account for your deepin OS. You can alse change the photo from the circle icon above the textbox. After creating username, don't press Next but press Clock button on top-left corner of screen. Third step: choose where on the world you're living. 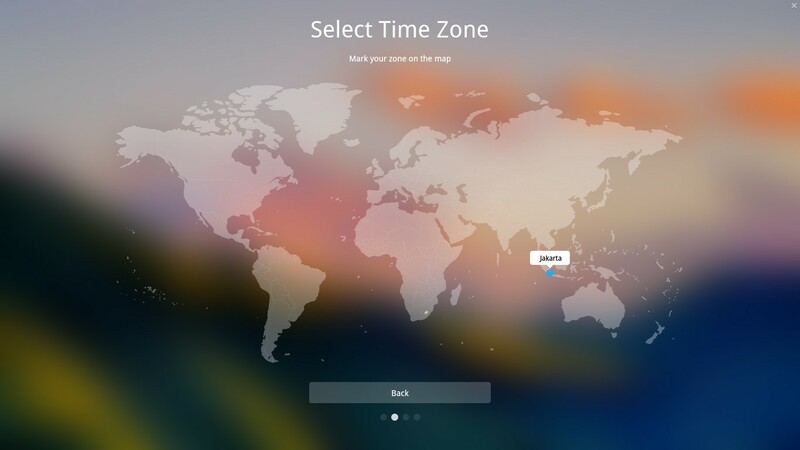 This determines your time region, currency, and another local info. 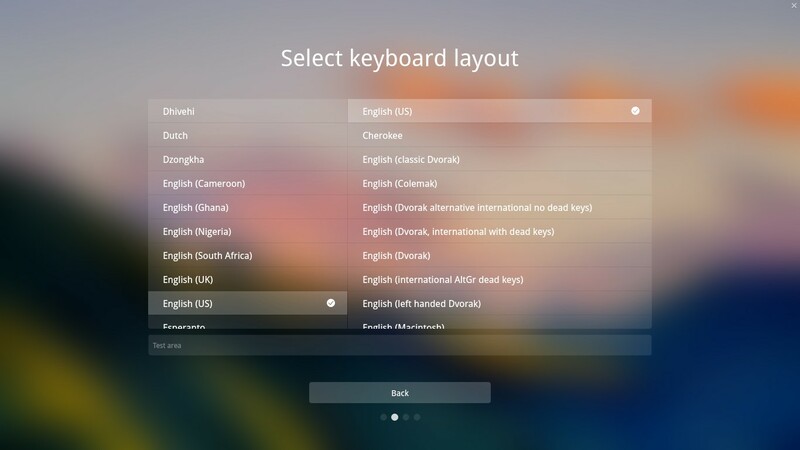 Fourth step: choose your keyboard layout. The default choice is safe. Fifth step: click on Advanced button so you enter Advanced Partitioning. I recommend this for most users. Then on Edit Disk dialog determine (1) filesystem: ext4 (2) mount point: / (3) format the partition: check on and then OK. See picture below*. *) Yes, at the time I made this screenshot, indeed, I made my formerly Ubuntu 17.04 as main partition for deepin on purpose so no problem. Sixth step: no difference to fifth step, except you change the Filesystem selection to "SWAP". Seventh step: choose where on your disk to install the bootloader. 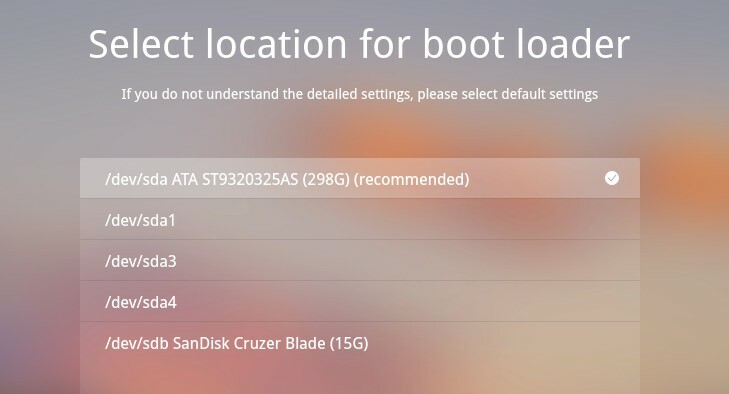 A bootloader is the screen where you choose one of all operating systems available on your computer in every booting. 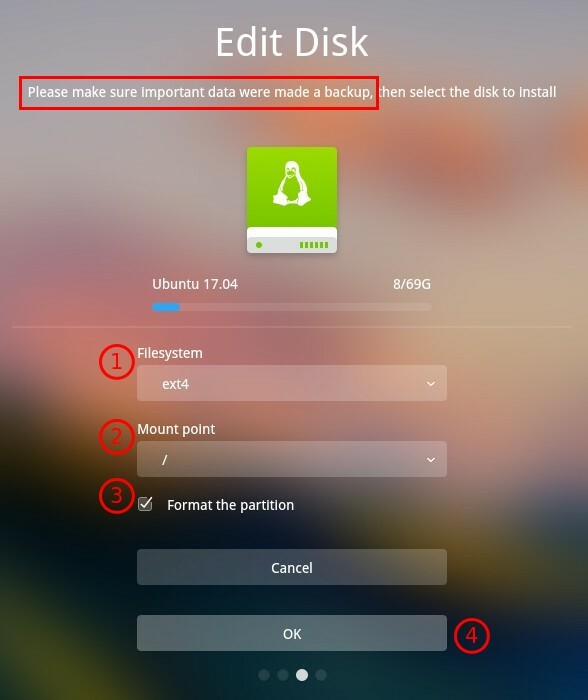 The location you should choose is the parent disk where your main partition belongs, for example my main partition is /dev/sda4 so the parent disk is /dev/sda. If my main partition is /dev/sdb4, then the parent disk is /dev/sdb. Notice the difference between with and without ending number, partition and its parent disk. And so on. Now recheck everything on summary on Prepare for Installation screen. 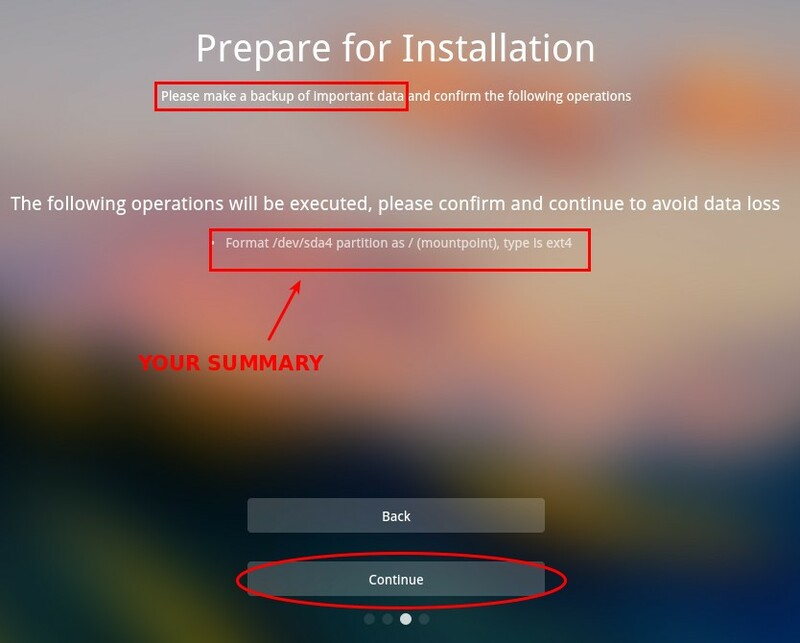 Once you're sure nothing wrong, press Continue to proceed the actual installation. Note that you cannot revert back after this. 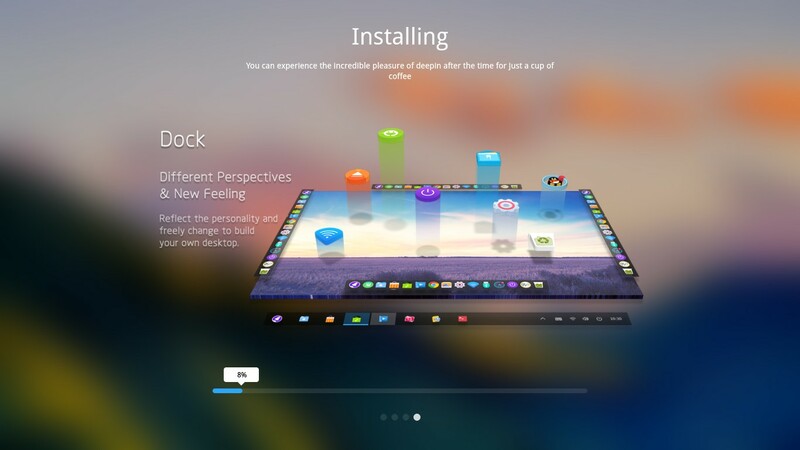 While installing, deepin installer will show you an incredibly cool slideshow you perhaps hard to imagine. This installation takes around 15 minutes on my laptop. 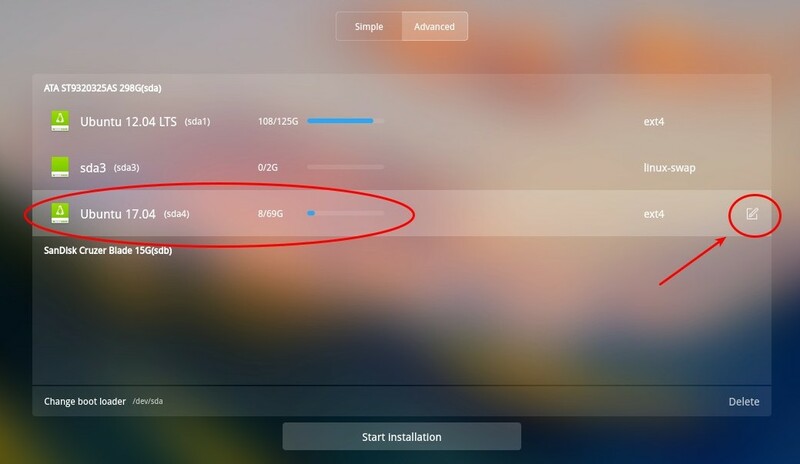 Once finished, deepin will say "Successfully Installed" and let you click Experience now to reboot. Be happy with deepin 15.4!